I would like to thank our retirees for your faithful service to the Kansas National Guard. I am very proud to have you as part of the Kansas National Guard family. Through your dedicated service you earned retirement benefits which you may or may not be receiving. This website will provide you information on benefits. You can read the information here or contact us for further individualized information. 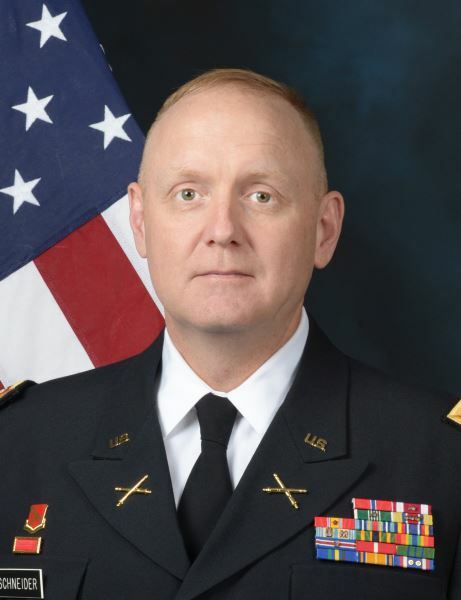 The Kansas National Guard has a rich heritage of celebrating Change of Commands, Promotions, Retirements, Hall of Fame Induction Ceremonies and Recognition Dinners. We would like to extend invitations to these events to our retirees. Please utilize tools on this website to update any changes in your status or residence and we will keep you informed of activities. Retirees remain key members of communities and ambassadors for the Kansas National Guard. You tell our story every day on the streets of your home town. I ask for your support in attracting qualified men and women to join our ranks to serve a grateful State and Nation. If I can provide further information or be of service please contact my office. Keep your information updated with State Headquarters. Please complete the Retiree Data Form and scan and email to etoi.d.purnell.mil@mail.mil or fax to 785-646-0191 to ensure we have updated contact information in our newly created retiree database.